Gary is a Shareholder of the firm and chair of our municipal practice group. 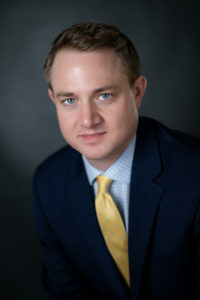 He currently serves as City Attorney for the City of Auburn and the Town Attorney for the Town of Yountville, as well as General Counsel for the Garden Valley Fire Protection District and the Pine Grove Community Services District, Assistant General Counsel for the Higgins Fire District, and General Counsel for the First 5 Yuba Commission. His practice covers a range of public law issues, including land use, CEQA, public works contracting, contracts, labor and employment law, constitutional law, code enforcement, conflicts of interest, open meetings and records laws, and post-redevelopment issues. Gary’s current projects for clients include negotiation of a complex development agreement related to the sale of a multimillion dollar hotel; labor negotiations with public safety employee units under the Meyers-Milias-Brown Act (MMBA); advice regarding several labor grievances and employee discipline matters; and preparing a legislative subpoena for records critical to an investigation into use of affordable housing. Before joining CH&W, Gary served as City Attorney for the City of Firebaugh and advised municipal clients throughout California on a wide range of issues, including counties, cities, school districts, and special districts. Gary graduated with highest honors from UC Santa Cruz in 2008 with a B.A. in psychology. He received his J.D. in 2012 from the UC Davis School of Law, where he was staff editor of the UC Davis Business Law Journal and a research assistant in constitutional law. While at Davis, Gary worked as a law clerk in the Governor’s Office of Legal Affairs and as a legal extern at the Placer County Superior Court.